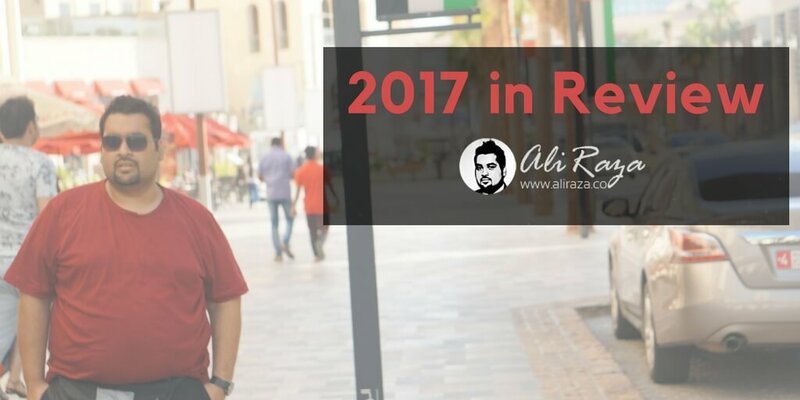 Welcome to the Yearly 2017 Report for AliRaza.co. This is the 21st Progress Report of this Blog. So instead of having a december report, I planned to have a 2017 in review at Whole. The purpose of this yearly report is to review the amount of work I do every month, along with website, social media and subscribers statistics. In other words, I critique the performance of myself and my blog every month to see where i’m standing. Hope you people like it, but still this is an experimented reports as this is the first time, I’m writing an yearly report, so if you have any suggestions or something should i improve on, please mention it freely. 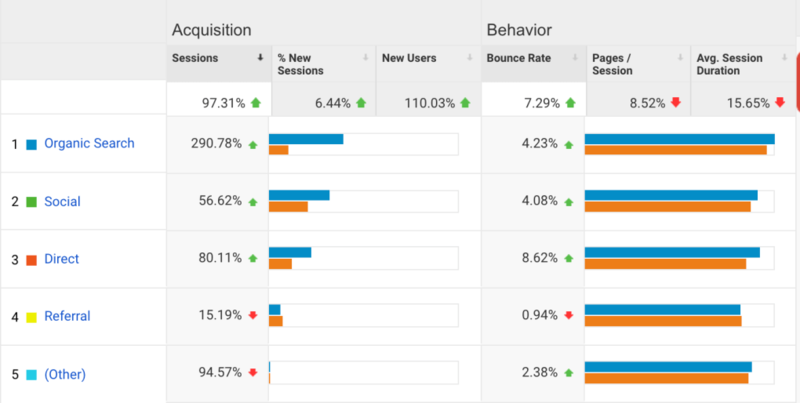 3.2 Why my organic traffic increased by 290% this year? 4.14 Question of the Month? I received a total of 36,665 sessions & 28,677 visitors on this blog averaging, around 3055 sessions & 2400 unique visitors a month. 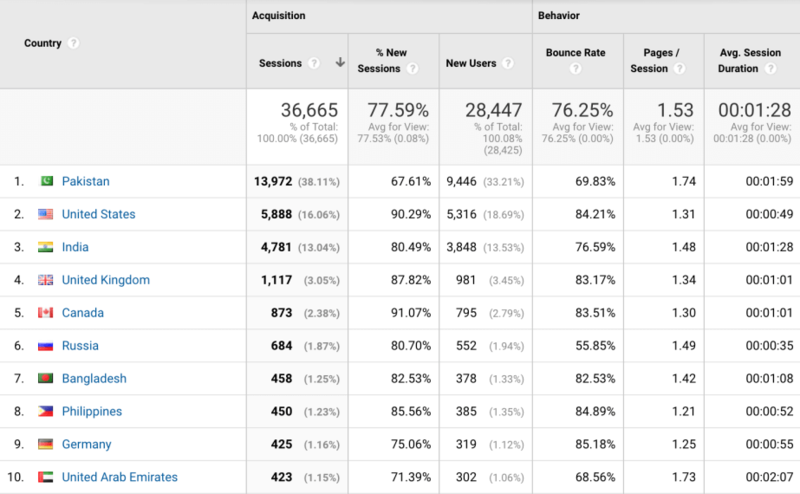 70% of my visitors use desktop, computer or laptop to visit my blog while around 27% of sessions came from mobile. Majority of my audience and traffic was from Pakistan, counting 13,972 sessions, 38% of total traffic, US accounted for 16.06% with India standing as third with 4781 sessions (13%). Thanks everyone for your love, means a lot to me. Organic Search sent the most traffic with 14,408 sessions, followed by 11,737 sessions by social media. 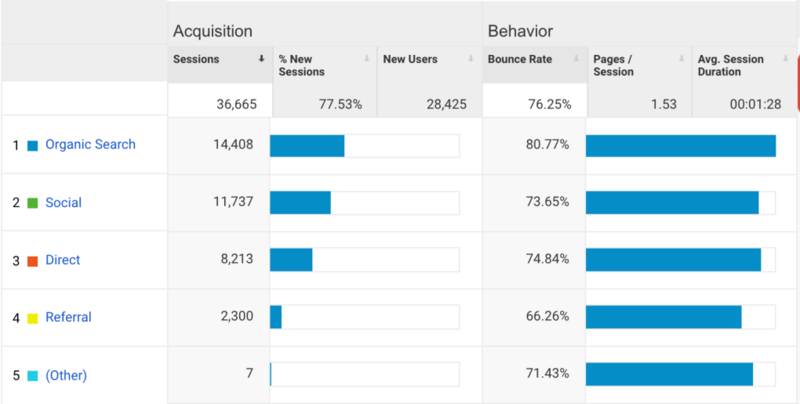 I feel like, there is a room for improvement in bounce rate, what do you think? How to Fix an Adwords Suspsended Account? However, personally my favourite article is : How To Make Money online? Because it’s a 10,000 word guide for people who are trying to learn for different ways to make money online. Below are the updated stats till 31st December 2017. Overall, a total of 6958 people are following me over social media except the following on my personal facebook account. However the bad thing is that the number of increased people is very less and i need to focus on this to improve. Let’s have a look on the traffic I received from Social Media Traffic, in the year 2017. Quora came on second, thanks to some efforts of developing a profile and building links there with good answers. Stumple upon took the 3rd number. I received 36,665 sessions in 2017 vs 18,582 sessions in 2016, so 97% increase of sessions is great actually. While, in 2016 the blog received, 13,534 unique visitors which went to 28,677 unique visitors showing an increase of 111%. Great Going. Less page/per sessions means i need to do more inter linking for my content, however I did this alot, still I lost the page per session, this needs more evaluation. What do you think, anyone would like to comment on this? Average session per duration is also reduced, however I plan to add more video content on this blog to improve it. Why my organic traffic increased by 290% this year? What do you think, in your opinion, what’s your take on this? As a visitor what factors do you think played a major contribution in such an increase. Social media shares plays huge role in improving your ranking factor. Article with references and interlinking is being considered as an authority in Google. Structuring your article with bullets, headings, pictures and videos improves user experience and time spent. If you want to learn SEO via me, you can join my training sessions [SEO (Search Engine Optimization) |PPC (Pay Per Click) Training Course]. Cheers. How to Develop an Online Marketing Strategy in 2018? Blogging vs. Vlogging: What You Should Start in 2018? How to Choose the Best Blog Post Titles in 2018? How to Improve Your SEO Techniques in 2018? 37 Posts were published overall in 2017. To be honest, not really good, 50 should be the minimum number i believe, but maintaining quality is another thing. January 2017 Monthly Income Report – 1st number with 32 comments. How to Make Money on Fiverr? – Came on 2nd number with 29 comments. Interview with Abdul Wali – Came on 3rd number with 20 comments. How did your blog improved over the year? Did you use any special strategy? Not at all, your best teachers are your readers, learn from them, what do they like and what not, they are the best teachers, in fact thats how i improved and learned over the year. I keep on evaluating and judging myself and my blog as a user’s perspective to keep on improving and where required, I don’t mind asking my visitors to pass me suggestions. The second strategy is, when you become consistent with any thing, you become more interested about it’s result, performance and other factors and your interest widens in it and that helps you in evaluating yourself as well. P.S. Do you want me to answer your question in my next month report? Reach me and ask it! I have also created a testimonial page for my blog, checkout how my blog has made an impact on some of my reader’s life by visiting the testimonials page. If you have to left a feedback or testimonial, I definitely want to hear, what do you think of my blog? Do pass your testimonial(s)/feedback here. 2018 is on it’s way and January is already started. I do have my new year resolutions as well, hope I do pass them. You guys can keep on reminding me, in case if i forget something somewhere. I want to publish, at least 50 quality blog posts this year. I will be rolling out a new theme for this blog no later than april. Hopefully will have more blog comments on my posts, trust me the above number is disappointing. I want to roll out Question & Answer Segment on this blog, half of the work is already done. Hopefully I will be doing vlogging this year, however majority of them will be in URDU/HINDI language. Seeing the current progress of Search Engine traffic, I expect to raise it by 150% at least in 2018. I also want to multiply 2017 traffic by 100% in 2018, help me guys in it, by sharing it my articles and link where possible. 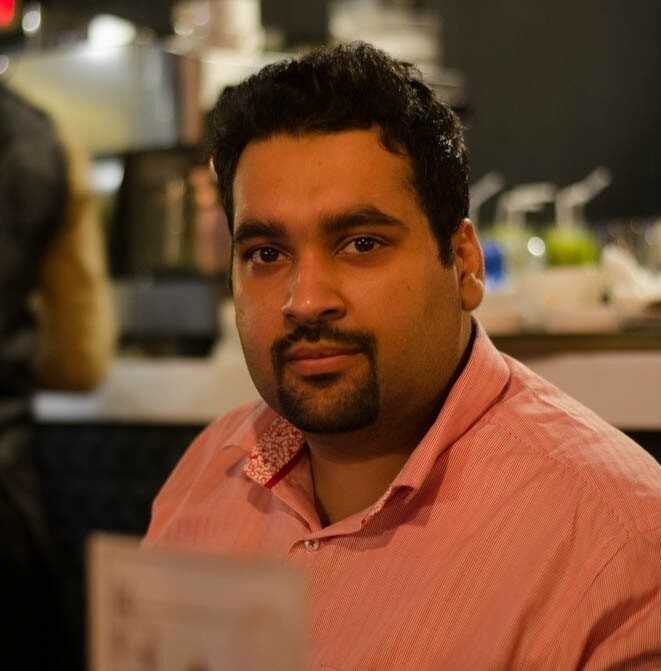 I will also be launching my long delayed courses [PPC & SEO] on Udemy in English Language. Will you be buying if i launch it? I also want to complete Facebook Marketing Course this year as well. You can reach me, if you have any questions. With all of the above data, I’m happy to conclude my 2017 year for my blog, it was a great year for me with so much great content, encouragement and obviously such great people and readers visiting it regularly, I owe you guys. Anyway, Thanks for reading my Yearly 2017 Blogging Report, hope it was a good read for you. Hope the 2018 turns out to be even better.. As always, I’m open to criticism, what are your thoughts on my blogging strategy? Did i miss something? What do you want me to add in my monthly or yearly reports article? Every appraisal and criticism is welcome here, please do comment on what you think. So what are you waiting for? this isn’t a bad earning from a blog and that too, in your part time efforts, So If you are interested in starting a blog for your own or you want to have an online presence, or you as a company want’s to engage your audience with a blog, why don’t you have a look on my tutorial for a complete blogging series which will help you to start your blog in just 15 minutes for a fairly cheap price (the low price is only through my link), For your information, if you will buy 12 months of blog hosting via my Bluehost link you are going to get 1 free domain as well, and the cost is going to be dirt cheap at annual package and it’s fairly easy to earn money from blogging too if you have a self hosted blog and you know how to monetize it well, also if you have bought it from my link and still having troubles, then reach me for a FREE setup, Good luck! A long article but worth reading, amazing stats and data you gathered. I would love to add my suggestions too, that is all about adding more traffic resources as major and organic other than social media. That would be recurring traffic and will hit numbers big in 2018. Thanks for the best wishes, I really appreciate. Nice. Now a days social media is the key factor for any blog. Indeed, but I don’t feel like relying on one segment for traffic. It always makes sense to compare yourself present vs past. 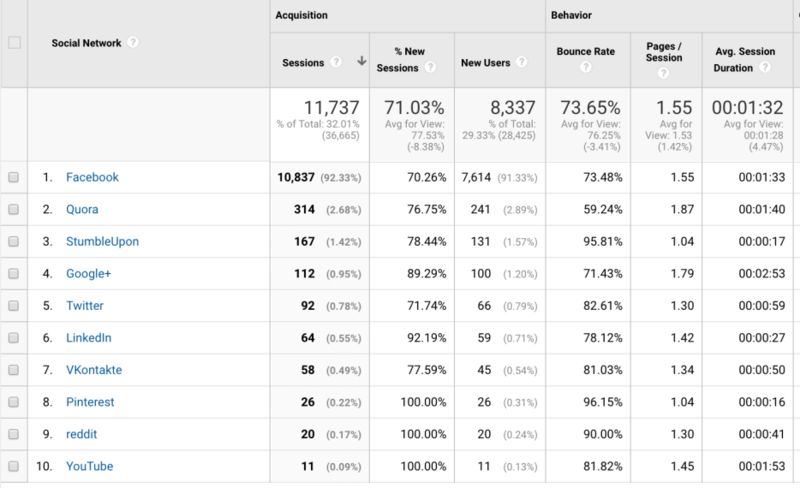 The statistics I can see there, shows and massive improvement considering the overall traffic sessions. And really appreciate the effort to compiling the hell lot of data together and motivating the fellow bloggers and Internet Marketers. Whereas the question you asked in between the post about pages per session. It generally gets decreased if the blog is popular and visits are more as it collects on an average. As you know some folks just visit to take a sneak of the blog popularity, if the traffic is direct. You know it better. Thank you so much Navin for reading the article, I appreciate. MashALLAH! Best of the best you’re doing! And, InshALLAH, you’ll do the greatest of great in 2018 and beyond! The best of you is you keep testing and apply. No second thoughts and just apply what you think and what you want to test. Thank you so much for your comments, your comments always give me more motivation, thanks again for visiting. I’m glad that you did well in 2017 and I wish you the best in 2018. I’m still learning about SEO. This was very inspirational. Thank you very much John, best wishes for you as well. Sounds like a good ride. Good luck for 2018.